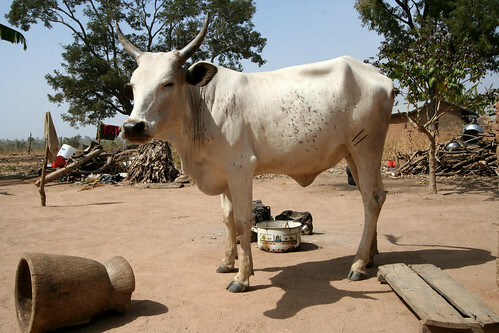 Sokoto cow, originally uploaded by nobodaddy69. Fulani herdsmen have a deep and almost mystical relationship with their cows. Each cow has a name and responds to it. Cows are named after their mothers. It is taboo for herdsmen to kill their own cows. I spent a while watching this cow and his herder. They appeared to be communicating in a subtle way..